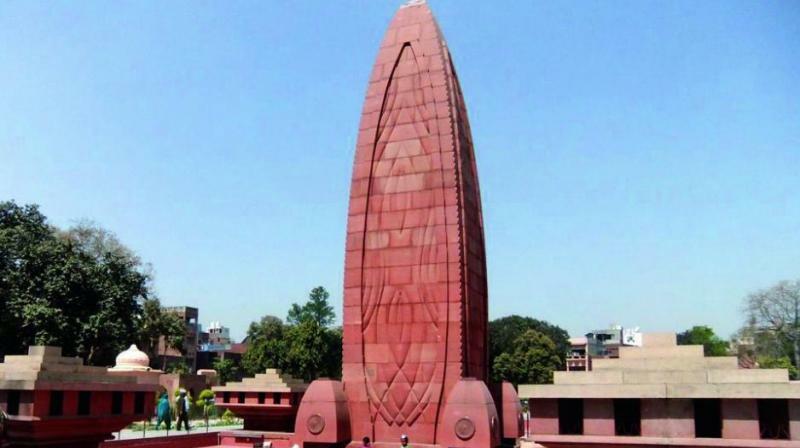 Jallianwala Bagh illustrated the futility of British coercion. India and Pakistan share many things in the subcontinent’s history, culture and religion. “What we want is true political freedom of the people, not posts and positions in government. Secondly, the unusual haste displayed in the passing of the Rowlatt Act before the new Council, and contrary to universal opinion, only goes to illustrate the policy of the government. And when, in the Punjab, this universal opposition against the Rowlatt manifested itself through constitutional methods, it fell to the lot of the lieutenant-governor to dishonestly characterise it as ‘open rebellion’.“Only his administrative genius could have conjured up a vision of ‘open rebellion’. Martial law was introduced; the manner and circumstances of its proclamation and its administration was calculated to destroy political freedom, political life, not only in the Punjab but throughout India, by striking terror into the hearts of its people. “The majority report of the Hunter Committee is one more flagrant and disgraceful instance that there can be no justice when there is a conflict between an Englishman and an Indian. The government of India, with its keen sense of humour and characteristic modesty, proceeds to forward a resolution in its despatch to the secretary of state commending its conduct, blind to the fact that they were in the position of an accused passing judgment. “Now, let us turn to the great ‘error of judgment’, the judicious finding of the cabinet which itself is no less an error of judgment and that was duly wired to us by Reuters. To follow up events in sequence, I must mention the parliamentary debate which forgot the Punjab and discussed General Dyer. Of course Mr Montagu hadn’t the time to put India’s case before the House, being far too busy offering personal explanations. And then the blue and brainless blood of England, to their crowning glory, carried the infamous resolution of Lord Finlay. “And what of the sacred land of the crescent and star and the blue and golden Bosporus — its capital seized and the Khalifa virtually a prisoner, its territories overrun by Allied troops — groaning under an imposition of impossible terms. It is a death warrant, not a treaty. He left the Congress, never to return. The massacre at Jallianwala Bagh in 1919 marked the turning point in the campaign for India’s independence, of which the infamous Rowlatt scheme marked a beginning — no vakil, no appeal, no daleel. Mohammad Ali Jinnah’s language became stronger. In adopting this position, Mohammad Ali Jinnah spoke up not only on the immediate one but the wider one too. Jallianwala Bagh illustrated the futility of British coercion. India and Pakistan share many things in the subcontinent’s history, culture and religion. It is only right that both countries should jointly commemorate events such as Jallianwala Bagh and honour heroes such as Bhagat Singh.